This car didn't have the easiest time when it first launched. With only 5 seats and a high price tag, it struggled to find its feet (or wheels) in a market filled with similar 7-seater variants. This makes it great for used car buyers, as the price has plummeted as a result. That's not to say that this is a bad vehicle. It most definitely isn't, as it has the same hallmark features that you expect from a Mercedes-Benz. It's possible to take out the passenger seats on certain models, but they must have the EasyVario seating installed. It really does provide a boost in practicality, so we'd recommend that you check this first. Regardless, there's plenty of space in the boot. This motor is a cost-effective family car that doesn't need to provide any exciting frills. The B150 reaches 0-60 in a standard 13 seconds, while the B170 reaches it in 11. It's handling is generally good too, as it has the same quality that Mercedes-Benz places in its other vehicles. 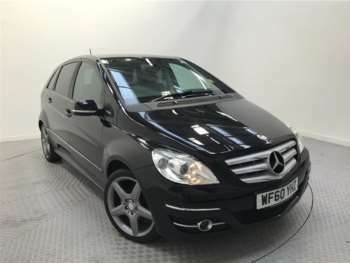 Got a specific Mercedes-Benz B Class model in mind?